After nurturing the idea for a long time, Valérie Lemercier has finally been given the green light to direct a biopic about Céline Dion. With a script already in the works, we can’t wait to see what the French actress and filmmaker will do. It’s official: the award-winning French actress and director Valérie Lemercier is in the process of writing the script for her next film (her 16th as a director) which will retrace the life of Céline Dion. Fascinated by the life of the Canadian star, Valérie Lemercier will bring Céline to life, from the age of five to 50, a challenge to which the director, who created a pastiche of Princess Diana in the successful 2005 Palais Royal !, will surely rise. We cannot wait to see Valérie Lemercier belt out All By Myself on a Las Vegas stage. Edited by Ronny83, 30 January 2019 - 01:52 PM. Okay, I wonder how it will be. Most of the times I find those biopics very bad. But who knows! You know what? I don’t give a damn about a freakin documentary played by someone else... WTF .... I want the summer tour 2017 on a freakin DVD!!! Is it so hard to release it? It was filmed professionally anyway, come on! Edited by ryba, 04 December 2017 - 10:50 AM. If Céline reads the script and gives her green light on it, then I'll watch. I'll just need subtitles!! If it's an unauthorized biopic, it can go into the garbage can in my opinion. Topic detailed in it's second post. I think that's a new record lol. Valérie Lemercier is a great french actor, who really really loves Celine , she is obsessed by her, And she has great comin timing with being serious at the same time. I think it could be good. I’m just blah about this. It’s got to be better then the crappy one before, right? I want Celine to act! Of course not in her biopic but I want her to be in a movie! My expectations are high! Finger crossed! When do you think it's gonna come out?? Me too! that's why I want an authorized one, no matter how good the actress is. Surely they should use Celine's singing voice and songs?! If it's done like Tina Turners What's Love Got To Do With It it'll be brilliant. Totally agree, although I randomly watched in Russian on Youtube. I think not understanding what they were saying was the only that helped me get to the end. Just watching the story was bad enough. I wonder who will play Rene? that's cos they didn't authorised this money and didn't have the right (or didn't pay the money to get the right to) use Céline's voice and songs. Those rights are probably 10 times the budget of that movie! Exactly. Why would you try and do a biopic of a singer without her songs at least?!  Maybe they have this time with Celine okay-ing it! Hope they're double checking the facts though because we know what Celine is like where that's concerned lol. Another biopic. 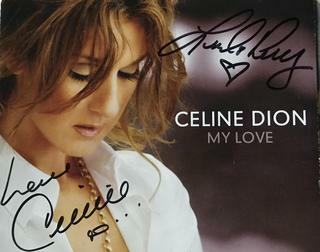 This time backed by Celine and written by her nephew (and wedding ring-bearer) Jimmy! Ok this one actually sounds interesting!!! Yessss I love this!! I will watch this one since it's supported by Céline!! Very interesting project. But if I read it correctly, it sounds like it's about the family and Celine's childhood, and ends with her first meeting of Rene. In this interview Lemercier says that she is going to ask Céline about the movie, that she has already written the script. 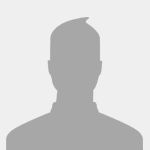 The film is called : Dis moi Céline €� (tell me Céline )€�. She is also saying that it €™€™s gonna be a comedy, a fun movie about the life of an icon, a superstar, how is it to be known. Edited by vincentbonvegna, 11 December 2017 - 04:36 PM. Read an article today saying that Le Parisien informs that Valerie Lemercier will direct Dis Moi Celine. Valerie saya that she is fascinated by Celine's voice, but also the fact that she is the 14th child, her relationship with her mother, and her love story with Rene.It will be a funny movie she says. I will interpret her from ages 8 to 50. Jerome Commandeur will play Rene. According to the article she resembles Celine quite a lot. Edited by agentwigs, 12 December 2017 - 05:34 AM.